For the first time in a very long time all Ethiopians are filled with enthusiasm and positive energy about their country. Ethiopia is strengthening economically, militarily, socially, and developmentally. The Ethiopian revolution is in a stage of no return. The people of the Horn of Africa region are hopeful as much as the Ethiopian people. Al-Shabab is directly supported by Shabiya and Berhanu Nega is working with Shabiya to bring this to Ethiopia. Don’t limit yourself to satisfy other people’s expectations! US president H.E. 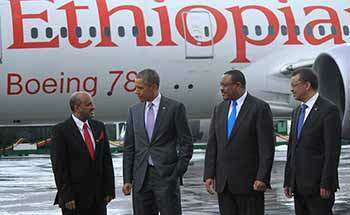 President Barak H. Obama along with US Government Senators and House of Representatives paid a visit to Ethiopian Airlines, the largest Airline in Africa, during the president’s three days official Visit to Ethiopia. 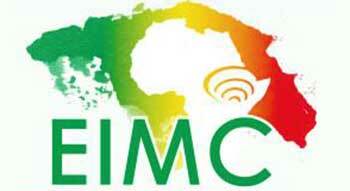 The Ethiopia International Mining Conference 2015 (EIMC 2015) will take place from 23rd - 24th September 2015 at the United Nations Conference Centre in Addis Ababa, Federal Democratic Republic of Ethiopia. 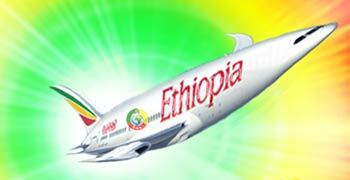 The event is organised by AME Trade Ltd UK in association with the Ministry of Mines of Ethiopia. The event will feature a two-day conference and an associated trade exhibition. Is the Investment Climate in Tigrai encouraging for business and investors? ©2005-2015 Tigraionline.com All rights reserved.